It’s no secret that when Orlando comes to mind, most people conjure up images of our world class theme parks like Walt Disney World, Sea World or Universal Studios. If your heart is set on princesses and parades, flying wizards, or jumping dolphins we’ve certainly got that covered. But if your hectic life leaves you craving activities of a more peaceful nature, Central Florida has some treasures to share. Whether you’re planning a move, a vacation, or a day trip you’ll find plenty to do in Central Florida to help you relax and enjoy the simple beauty and history our magnificent state has to offer. History buffs will find many adventures in and near Central Florida. Here are just a few examples of the rich history that can be explored. Bok Tower Gardens located north of Lake Wales is a contemplative garden and bird sanctuary, and unarguably one of Central Florida’s prettiest landmarks. 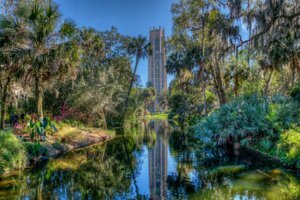 It consists of a 250-acre garden, the 205-foot Singing Tower which holds some of the world's finest carillon bells, Pine Ridge Nature Preserve and Trail, Pinewood Estate (a 1930’s Mediterranean Revival Mansion), and a visitor center. Click here to learn more. St. Augustine is nestled along the sandy shores on the Atlantic coast of Northeastern Florida. 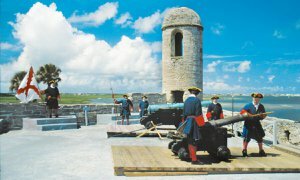 Founded in 1565 by Spanish explorers, it’s the oldest continuously occupied European-established settlement within the borders of the continental US. And oh, is it ever rich in history! Guided tours are available to ensure you take in all the details. If you’re feeling adventurous, ghost tours are an option too! For dog lovers, there are tours available that allow Fido to tag along. This dog friendly, historic town also has gorgeous parks and beaches where you can relax and unwind. View all of your options here. Ponce de Leon Light Station, located in Ponce Inlet, was built in 1887 and is the tallest in Florida and the second tallest in the country. Visitors can climb the tower and tour the light keeper’s dwellings along with several other structures. An adjacent coastal hammock offers a beautiful hiking trail with abundant wildlife. 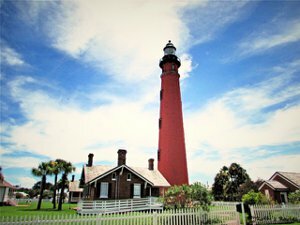 If you’re interested in touring the lighthouse, check here for tour times and additional information. Meet a manatee, or swim with them if you like! Manatees seek warm water shelter when the temperatures drop during the Florida winter. There are several locations in Central Florida that are home to magnificent springs that maintain a constant temperature of 72 to 74 degrees and are favorite hang-outs for manatees. 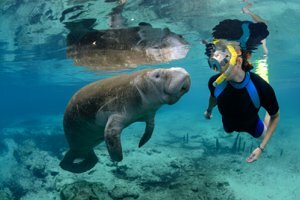 Depending on your level of interest, you can hike trails on the water’s edge to view the manatees, paddleboat or kayak next to them, or even (my favorite) don a snorkel and swim alongside these gentle giants. Two preferred locations for manatee viewing are Blue Springs State Park and Crystal River. Wildlife is, unfortunately not always left to the wild. When exotic animals are taken up as pets and soon become too much to handle, where do they go? There are several wild life protective reserves in the area where you can visit these animals and learn about how to help protect them. The Wildlife Survival Sanctuary in Spring Hill offers rescue and care to unwanted and abused exotic wildlife. The tour will both amaze you and touch your heart as you come close to these beautiful animals and learn their stories. A similar organization can be found at the St. Augustine Wild Reserve in Saint Augustine. 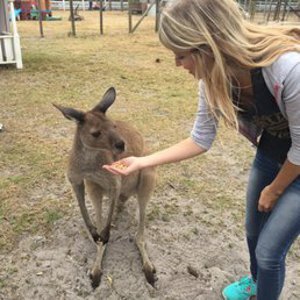 The Exotic Animal Experience in Orlando offers a slightly different and more interactive environment. The animals at this facility are not rescue animals. They were raised in captivity and are generally accustomed to people. The experience is amazing if you are looking for an opportunity to cuddle a lemur or snuggle a baby kangaroo. Wine anyone? Several opportunities are available to tour local wineries. A family favorite is the Lakeridge Winery in Clermont. 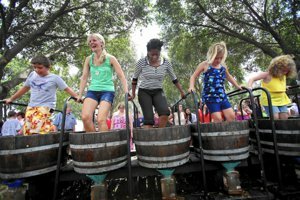 Tours are available seven days a week and they host a variety of events during the year including a grape stomp in June open to participants of all ages! Strong Tower Vineyard in Spring Hill has an annual calendar of events worth checking in to. Perhaps you could pair an event at the vineyard with a visit to the Wildlife Survival Sanctuary and make a day of it in Spring Hill! For the true wine aficionado there is the Tarpon Springs Castle Winery. This fine establishment is known for being the only European winery in the south. Tours are available, and you can enjoy wine tasting in the Italian style walled in courtyard. If you’re thinking of visiting, you can check for a Groupon as they are usually available. The only problem about what to do in Central Florida is that the list is too long! I could be here forever tempting you further with white sandy beaches, sunset cruises, glass bottom boat tours, air boat rides, hot air ballooning, sports events, skydiving and more. Oh, and there is just one more problem. Once you see how wonderful it is to be here, you won’t want to leave. Don’t worry, I can help! Visit my website to see all the amazing homes available and waiting for you. Give me a call or email me today to start planning your relocation to this wonderfully diverse and exciting place that I love to call home!